I am always roasting red peppers and thought I would cook with yellow peppers for a change. This soup has a deep flavour and the basil cream blends well and gives it an extra lift. Don’t be alarmed by the amount of garlic, once roasted the garlic is smoother and softer in taste. •Pre heat oven to 200c/400F degrees. •Cut about 1/2 an inch off the tops of the garlic and drizzle with olive oil. • Put the peppers, onions and garlic in a roasting tin and roast for about 45 minutes. The pepper skins should be black and the garlic should be tender. •Place the peppers into a plastic bag and cool. This makes the skins easier to remove. • In food processor or blender, puree the peppers, onions and garlic unti smooth. Add the stock. •Pour into a saucepan and simmer over a low heat. Season with salt and pepper. •In a blender, add the basil and greek yoghurt. Mix well and season with salt and pepper. •Serve the soup in bowls and add the basil cream. 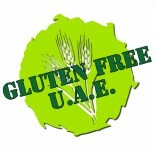 This entry was posted on 06/03/2012 by glutenfreeuae in Recipes, Soups and tagged gluten free, glutenfree, peppers, soup.